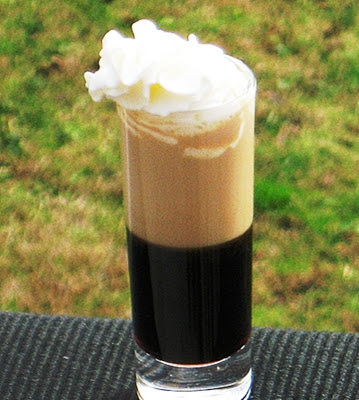 Pour the Kahlua into a 2 ounces Shot glass. Next, pour the Baileys over the back of a spoon so that it floats on top of the heavier Kahlua. Add a little Whipped Cream on the top, and it is bottoms up!